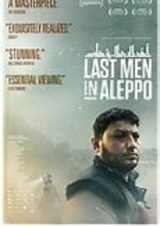 Syrian filmmaker Feras Fayyad’s breathtaking work, a searing example of boots-on-the-ground reportage, follows the efforts of the internationally recognized White Helmets, an organization consisting of ordinary citizens who are the first to rush towards military strikes and attacks in the hope of saving lives. John and Ella Robina have shared a wonderful life for more than fifty years. Now in their eighties, Ella suffers from cancer and has chosen to stop treatment. John has Alzheimer’s. Yearning for one last adventure, the self-proclaimed “down-on-their-luck geezers” kidnap themselves from the adult children and doctors who seem to run their lives to steal away from their home in suburban Detroit on a forbidden vacation of rediscovery. 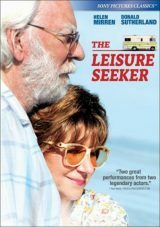 The runaway couple go on an unforgettable journey in the faithful old RV they call The Leisure Seeker, traveling from Boston to The Ernest Hemingway Home in Key West. They recapture their passion for life and their love for each other on a road trip that provides revelation and surprise right up to the very end. This film stars Donald Sutherland and Helen Mirren. 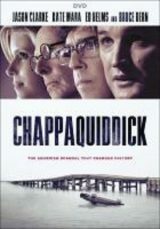 Based on historical events, this suspenseful thriller examines the infamous 1969 death of Mary Jo Kopechne, who drowned after Senator Ted Kennedy drove off a bridge on Chappaquiddick Island, and the moral and legal complexities that play out over the following week.In the riveting suspense drama. All details are revealed in this movie starring Jason Clarke as Ted Kennedy and Kate Mara as Mary Jo Kopechne. Not only did this event take the life of an aspiring political strategist and Kennedy insider, but it ultimately changed the course of presidential history forever. 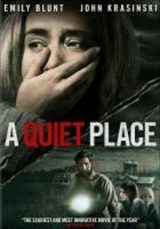 In the modern horror thriller A QUIET PLACE, a family of four must navigate their lives in silence after mysterious creatures that hunt by sound threaten their survival. If they hear you, they hunt you. Directed by the actor John Krasinski who also stars and other actors are Emily Blunt, Noah Jupe and Millicent Simmonds. It is rated PG13 for terror and some bloody images. The film is about Marlo, a mother of three including a newborn, who is gifted a night nanny by her brother. 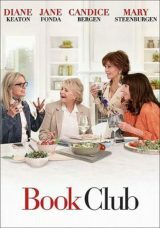 Hesitant to the extravagance at first, Marlo comes to form a unique bond with the thoughtful, surprising, and sometimes challenging young nanny named Tully. It stars Charlize Theron, Mackenzie Davis, Ron Livingston and Mark Duplass.